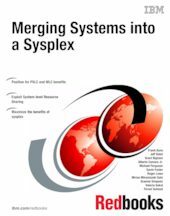 This IBM Redbooks publication provides information to help Systems Programmers plan for merging systems into a sysplex. zSeries systems are highly flexibile systems capable of processing many workloads. As a result, there are many things to consider when merging independent systems into the more closely integrated environment of a sysplex. This book will help you identify these issues in advance and thereby ensure a successful project. Chapter 20. Hardware configuration considerations.